Business Planning Is Not Complicated! A real estate business plan is a structured written statement of a set of real estate business goals. It's about setting smart goals and career objectives. It should include a written outline of your current real estate business along with a specific set of guidelines on where you want to take your business and what you have to do to proceed towards your ideal results. "Failures don't plan to fail; they fail to plan." A good real estate business plan doesn't guarantee being successful, however it significantly improves the odds. Great plans don't succeed because people hesitate, get off track, lose interest or just basically forget. Make sure you are not sidetracked and waste time and resources on less important activities. Stay on track and push forward with determination, tenacity and perseverance. If you're fed up with bouncing through your real estate career with Yo-Yo performance numbers and actually hope to dictate your own personal real estate success, it may be time that you take a look at: The REALTOR's Ultimate Business Planning Kit. How Do You Write A Radical Real Estate Business Plan? Pre-plan your personal goals and objectives. You have to decide exactly where you're going, who your competitors are, as well as what your perspective is in the bigger picture. That will help you focus more clearly, so when you begin to write your plan you can reference back to this document to see if it continues to meet your goals and objectives. New agents, should definitely create a detailed plan setting out the objectives of their business, as well as the strategy and tactics planned to achieve them. It is best to start a business correctly to achieve your goals. It will also help to avoid developing bad habits and stay focused. It will assist you to start your business by generating leads and converting them into appointments, listings and sales. It will also help you determine the number of deals you'll need in order to reach your goals as well as the expenses associated with these transactions so you can develop a spending budget. Here are a few basic points to consider before attempting to write your objectives for your business. Clearly outline your real estate marketing plans and advertising guidelines in your business plan. You really need to develop an effective plan for your real estate business. Your competition has grown in today's market so, you need to provide something totally new to the client that other agents are not providing. This will likely raise the level of popularity and business of your services. A number of real estate businesses have shifted to internet marketing while other businesses incorporate traditional media to cater to established property owners. Conduct your research regarding advertising and promotional costs prior to planning this area of your business. Incorporating web based marketing with offline marketing is a logical approach.Postcard marketing is one of the best and most cost friendly options for promotion. If you aren't able to create a plan by yourself, find business planning software or have an expert help you. Make sure to investigate The REALTOR's Ultimate Business Planning Kit I mentioned earlier. One service that comes highly recommended is the The 365 Club. This particular solution supplies regular real estate coaching and training in addition to up-to-date tools, strategies, and techniques that can help you emerge as, and continue being a top-notch Agent in your real estate market. As an example: The Champion Tracker in The 365 Club was developed by a lineup of skilled professional coaches and computer programmers to produce an internet based coaching option for helping agents accomplish their specific real estate successes. The Champion Tracker delivers goal setting tools, business planning, daily feedback and accountability (Goals Vs. Results Reporting), as well as crucial real estate analytics & tracking. As soon as your Goal Setting Questionnaire is finished, one click exposes your own Automated Business Plan including a customized plan of action. Every single objective you need to reach is actually determined and outlined for you personally. Not only that, but every single goal that you need to realize is going to be calculated and converted into monthly, weekly, and daily assignments. 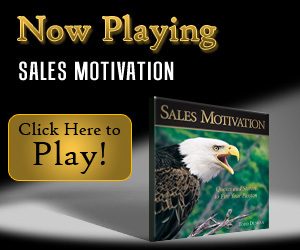 You'll know EXACTLY you have to accomplish every single day in order to generate the sales and profits that you want. For an investment of about a dollar a day, you could potentially increase your earnings this year, many, many times over. For anyone who is frustrated with bouncing through their real estate career with Yo-Yo production volumes and actually wants to take control of their personal real estate achievements, it's time to look into The 365 Club. If you told me that holding an Open House as a form of lead generation a few years ago, I’d have told you that you were completely out of your mind. Hiring a Real Estate Coach?